The village of Holten is in the north east of the Netherlands approx 20 kms east of the town of Deventer. From the A1 motorway AMSTERDAM to HENGELO take exit 27 (Afrit 27) MARKELO / HOLTEN-OOST / RIJSEN-WEST / HELLENDOORN. Follow the signs for N350 HOLTEN on the MARKELOSEWEG. Continue through the village on the ORANJESTRAAT which becomes the DORPSTRAAT. Follow the signs for HOLTERBERG. 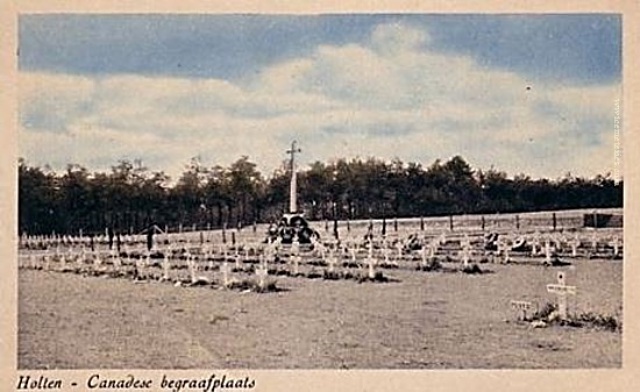 After approx 100m turn right (CWGC sign) onto MOLENBELTERWEG. Continue for approx 2,5kms road name changes to HOLTERBERGWEG. 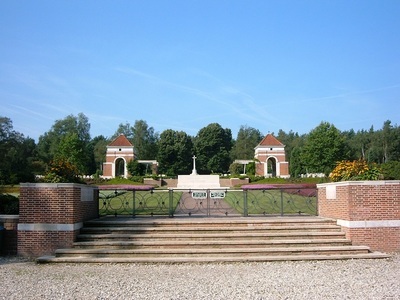 Turn right (CWGC sign) onto WULLENBERGWEG. After approx 600m turn left onto EEKHOORNWEG. 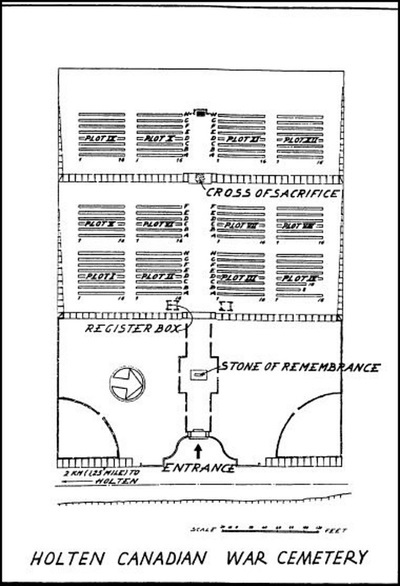 The cemetery is approx 200m on the left. 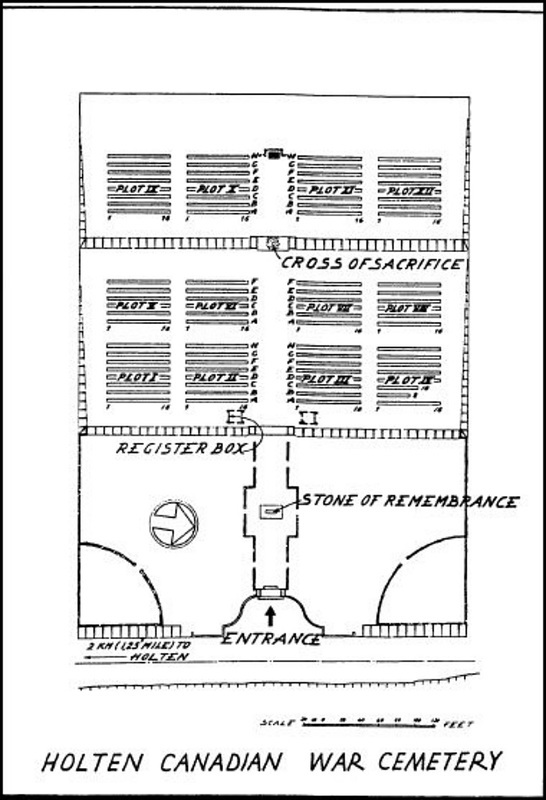 Wheelchair access to cemetery possible, but may be by an alternative entrance. The Netherlands fell to the Germans in May 1940 and was not re-entered by Allied forces until September 1944. The great majority of those buried in Holten Canadian War Cemetery died during the last stages of the war in Holland, during the advance of the Canadian 2nd Corps into northern Germany, and across the Ems in April and the first days of May 1945. After the end of hostilities their remains were brought together into this cemetery. 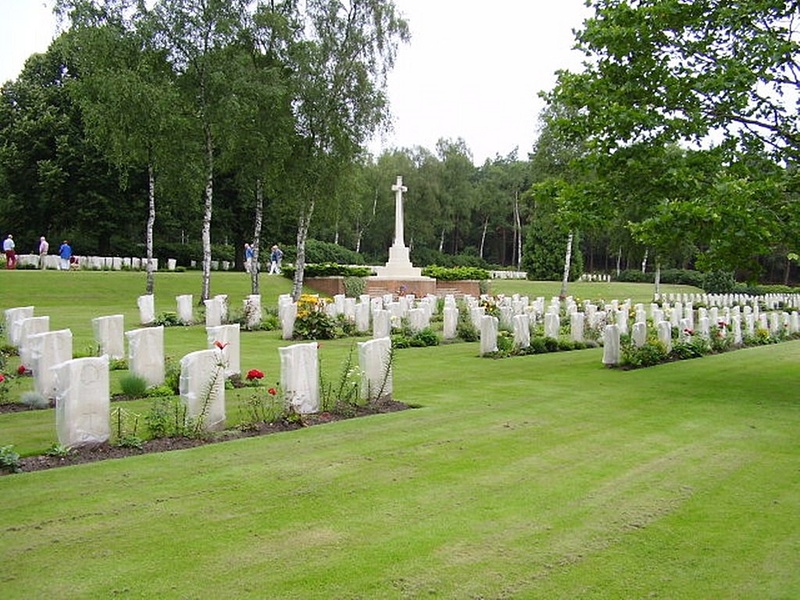 Holten Canadian War Cemetery contains 1,393 Commonwealth burials of the Second World War.